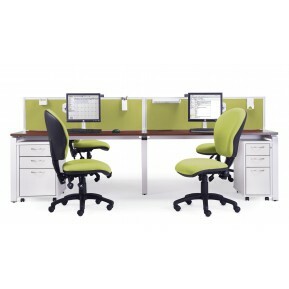 The Evolve Starter Desk is part of the Evolve Bench Desking Range, it is available in Beech, Ma.. The Evolve Two Row Desk is part of the Evolve Bench Desking Range. It is available in Beech, Ma.. The Evolve Three Row Desk is part of the Evolve Bench Desking Range. It is available in Beech, .. The Evolve Two Pod Desk is part of the Evolve Bench Desking Range. It is available in Beech, Ma.. 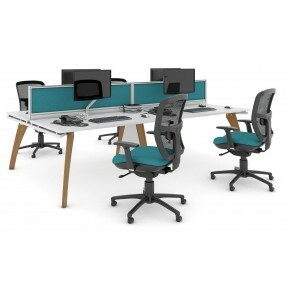 The Evolve Four Pod Desk is part of the Evolve Bench Desking Range. It is available in Beech, M.. 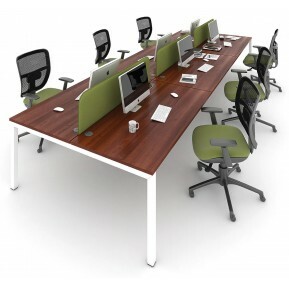 The Evolve Six Pod Desk is part of the Evolve Bench Desking Range. It is available in Beech, Ma.. The Evolve Extension Starter Desk is part of the Evolve Bench Desking Range, it is available in.. 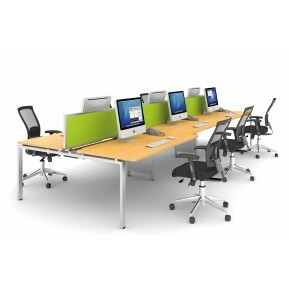 The Evolve Two Pod Extension Desk is part of the Evolve Bench Desking Range. It is available in.. These are the Cable Management Trays which are made to fit the Evolve Bench Desks. The Evolve Cable .. Bench Desks are the ideal solution to maximizing office work space without compromising floor space. The design of the desks allow for one large joint system with a combination of steel legs and tops. With additional options of cable trays, screen dividers, screen monitors and more. You can mix and match all types of sizes to create the perfect combination to your office dimensions. Available in a variety of coloured wooden tops with steel legs also available in White or Silver and storage to suit. These desks are the ideal cost effective solution. Matrix Bench Rectangular Desk Return. 5 Year Guarantee. Meeting Extensions are supported by ..
Rectangular workstations offer a traditional workspace available in several widths and two depth opt..
Matrix Bench Narrow Meeting Table 5 Year guarantee 25mm thick worktop Available in 8 MFC co..
Matrix Bench Angular Workstation. 5 year guarantee. Optional wire management availablity. A.. The Linnea Bench Meeting Table comes with a 5 year guarantee, it is available in 8 MFC Colours (Ash,..
Linnea Bench Desk Return. 5 Year Guarantee. Optional cable management. Available in 8 MF..
Linnea Bench Rectangular Desk 5 Year Guarantee. Optional Cable Management. Available in 8 M..
Linnea Bench Angular Desk. 5 Year Guarantee. Optional cable management. Available in 8 MF.. Double Bench workstations offer clean lines and symmetry with the use of vertical leg frame uprights..
Matrix Bench Meeting Table. 5 Year Guarantee. 25mm thick worktop. Available in 8 MFC col.. The Linnea 1600 Deep Bench Meeting Table comes with a 5 year guarantee, it is available in 8 MFC Co..
Linnea Bench Double Bench. 5 Year Guarantee. Cable management tray. Sliding top. ..